Winning Pips System is a free trading system that has been promoted across the internet this year (2011). It seems to originate from a trader called Ochuko and all credit must to go to him for creating/distributing a decent free trading system. Which, given the current times, makes quite a nice change. Winning Pips, is a very straight forward system to follow and ultimately is a forex trading system but you could always try it on a index or commodity. You should have all these indicators in your Metatrader Platform indicators folder already but if you do not you can download everything you need from these pages: MT4 Indicators or by clicking on the indicator names above. -The Parabolic SAR must be below the current signal candlestick. -Awesome Oscillator must turn green. -Accelerator Oscillator must turn green. Once all the three conditions are met you enter a long trade at the close of the current candle. Set stop loss at the low of the entry candlestick. Set take profit to the same amount as stop loss. For example if your stop loss is 50 pips then use a profit target of 50 pips. If it is less, use less. Alternatively, you can ride the trend until both AO and AC change their color to Red. If in doubt move you stop to entery as soon as possible or trail using the SAR but as always with trading systems, it is best not to play too much with them. -The Parabolic SAR must be above the current signal candlestick. -Awesome Oscillator must turn red. -Accelerator Oscillator must turn red. If all the three conditions are met, enter a short trade at the close of the current candle. Set stop loss at the high of the entry candlestick. As you see the Winning Pips System is simple in concept and should be easy to back and forward test. 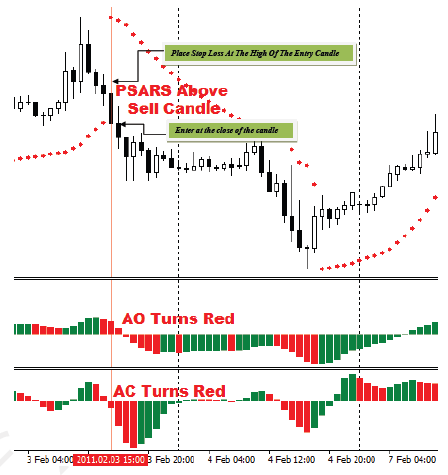 You can get a PDF of the trading system (covered here) from various trading forums or you can visit Ochuko’s website. this looks good, but as its in fx noting is 100 perfect there would always be lost but i guess what we should be after is after the trading day, the lost shouldnt be more than the profit. That is the best time frame for this strategy, also would it be good for scalping? 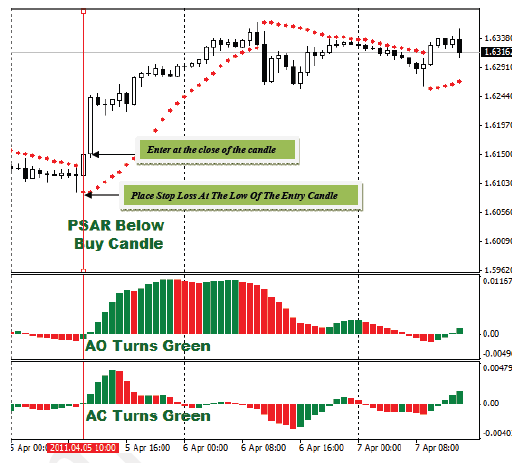 Quick questions, what settings are used for the indicators, and which pairs/time frames are recommended? As far as I know they are standard settings but if you do a google search for it I am sure you will find further answers to your questions.